Looking through the Puerta de las Atarazanas (number 31 on the Colonial Zone Map) to the Calle Francisco Alberto Caamaño Deñó better known as the Avenida del Puerto. 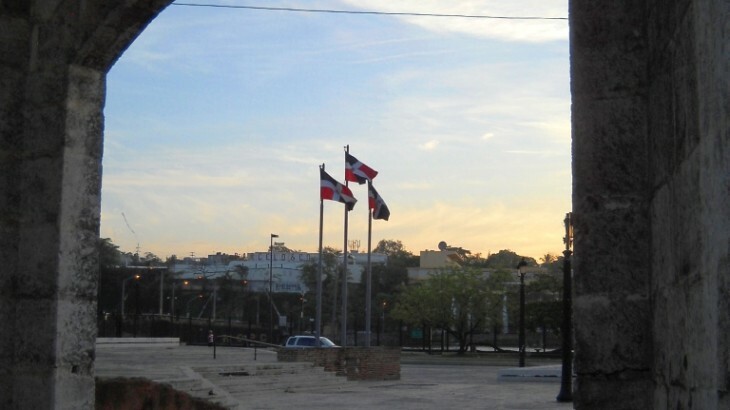 The Dominican Flags are flying proudly, waving in the breeze, in the Plaza greeting the morning. 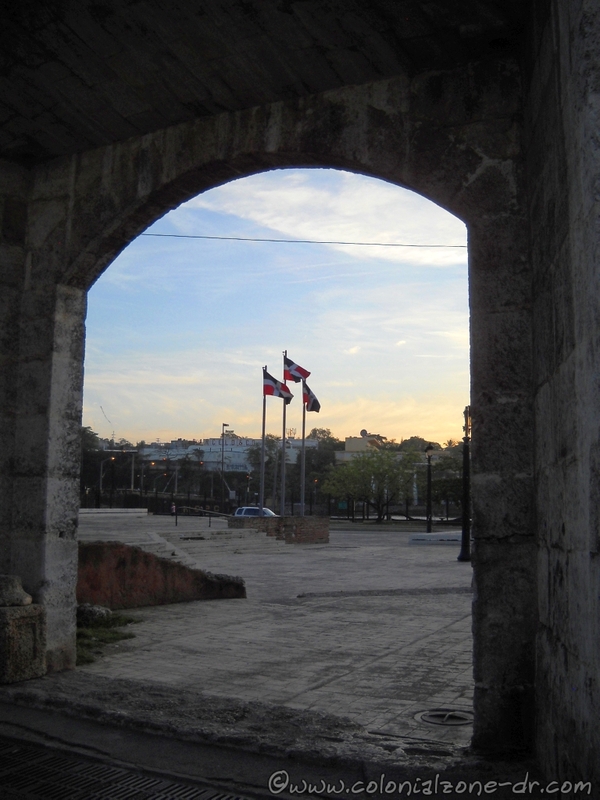 Pictures of the Day, Tourism avenida del puerto, dominican flags, flag, picture, picture of the day, puerta atarazanas. permalink.